ISLAMABAD, Aug 5 (APP): National Accountability Bureau (NAB), Rawalpindi has arrested 43 persons in Modarba/Musharka cases and recovered Rs 568.82 million from accused. Chairman NAB, Qamar Zaman Chaudhry, who chaired a meeting held here on Friday was informed about current status of multi-billion Modaraba scandals and recovery made so far. Sajjad Ahmed, Salah ud Din, Khan Muhammad, Muhammad Ihsan, Hanif Khan, Mufti M. Ehsan ul Haq, Muhammad Ibrar ul Haq, Obaid Ullah, Hafiz Muhammad Nawaz, Wajid Ali, Hafiz Mukhtiar Khan, Muhammad Osama Abbasi, Umair Ahmed, Muhammad Bilal Afridi, Ibrahim Al Shoraim, M. Aqeel Abbasi, M. Osama Qureshi, Saifullah, Nazir Ahmed, Muhammad Idrees, Abdul Malik, Irshad Ullah Jan, Fazal Subhan, Asif Javed (Alias Molvi Ibrahim, Rashid Minhas, Mufti Muhammad Saqib, Muhammad Wali, Shams ur Rehman, Muhammad Yasir, Hussain Ahmed Deshani, Mati ur Rehman, Mufti Saqib, Ejaz Anwar and Bilal Khan Bangash. inquiry against Akbar Khan Assistant Director, Elixir Group underway at NAB Rawalpindi/Islamabad Bureau while 28 corruption references have been filed. Rehman and Hanif Khan s/o Zaboor Khan (Al- Makkah Traders) Director General further informed that a list of 71 affectees in State Vs. Mufti Ehsan Ul Haq and others (Complaints against accused Aqeel Abbasi) case and list of 33 affectees in Sate Vs. Mufti Muhammad Saqib case is under approval stage for payment to affectees of above said two scams. He said NAB during last 16 years has received about 309,000 complaints from individuals and private/public organizations. taken into the stage of prosecution in the courts of law. Out of 1,762 decided cases, we achieved conviction in 889 cases. He said that NAB’s prime focus is on cases of cheating public at large by fraudulent financial companies, bank frauds, willful bank loan defaults, misuse of authority and embezzlement of state funds by government servants etc. Since NAB’s inception, one of its major achievements has been recovery of around Rs. 276 billion of ill-gotten money which was deposited in national exchequer. 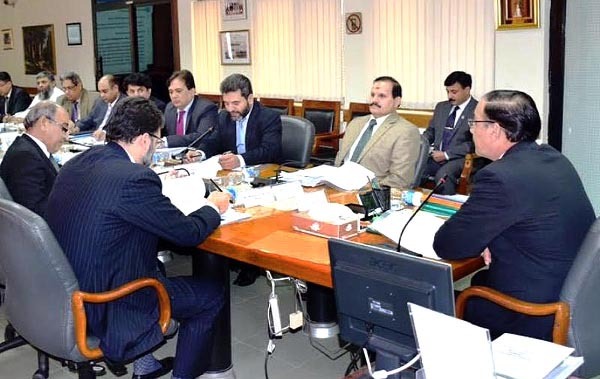 The Chairman said NAB has developed an effective Monitoring and Evaluation System catering needs of all concerned having salient features of maintenance of data at each stage including complaint entry, complaint verification, inquiry, investigation, prosecution stage and record preservation of Regional Board Meetings and ability to analyze data in qualitative and quantitative form having warnings and alarms system for violators. Moreover, he said timelines have been prescribed for efficient, effective and expeditious disposal of case putting a maximum limit of 10 months- from complaint verification-to- inquiry-to investigation and finally to a reference in Accountability Court. He said NAB intends to establish NAB’s Anti-Corruption Academy at Islamabad for capacity building of its officers/Officials. NAB hopes that joint efforts of all stakeholders can collaborate to check corruption and corrupt practices before happening with help of all stakeholders, civil society, media and people at large and bring sustainable systematic changes to governance structure of the country.